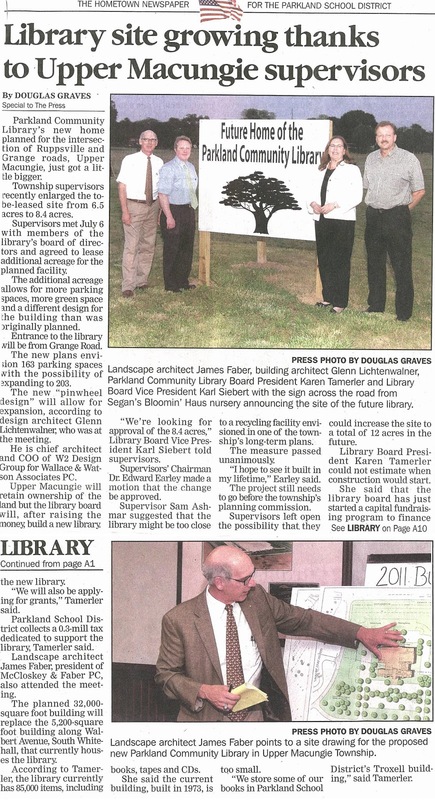 Upper Macungie Township, PA - Parkland Community Library has been approved for a 2 acre increase in site size, according to Township supervisors. 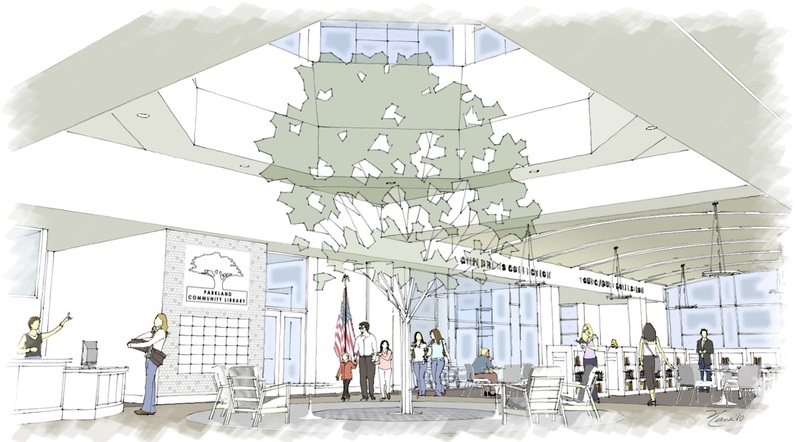 The new site is 8.4 acres, and allows for more parking, more green space, and an enhanced design of the building. 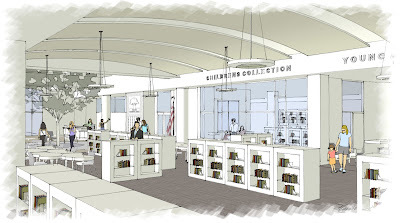 The new 32,000 SF library will feature: collections for all age groups, computer labs, small group study / tutoring areas, children's library, young adult room, large community room and outdoor reading garden. 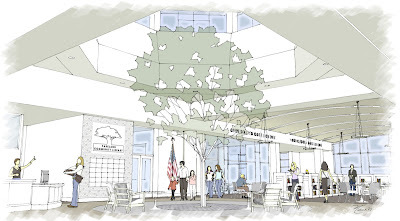 The building is anticipated to achieve a LEED Silver Certification. W2A's main design focus was the "pinwheel" layout concept. 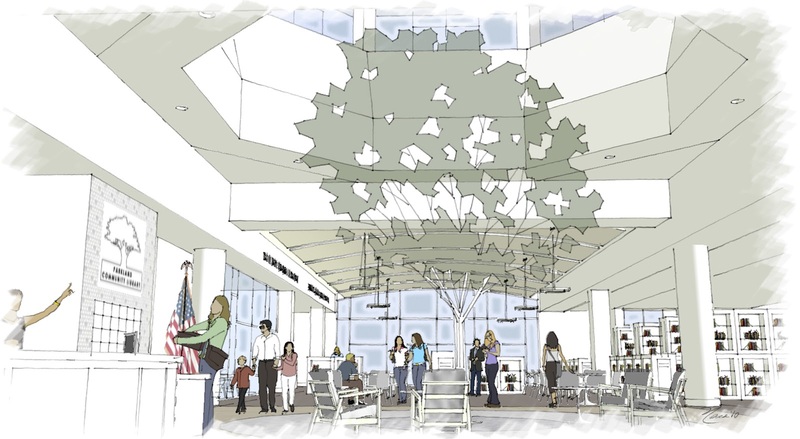 This concept is enhanced with the position of a central gathering area with raised roof to provide natural light into the center of the building. 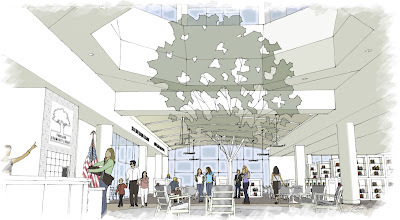 The central gathering area features a natural element–a tree. This tree symbolizes the emphasis on the environmentally sensitive design and provides a distinguishing and memorable feature for the Parkland Community Library (the PCL logo). Future expansions will occur by adding to the “spokes” of the “pinwheel” layout without disrupting the use of the building. The low arch roof form and clerestories allow for abundant natural daylight to enter and filter gently through the Library, without adding unnecessary height to the building. Clear visibility throughout the collections is maintained by the strategic placements of the library circulation and reference services, interior glazed partitions and placement of furnishings. The exterior building form and material selections of brick and stone masonry fit the surrounding residential context.